She also expressed a desire for a bilateral agricultural trading relationship with the U.S. importing such things as Cuban snuff, rum, cigars, coffee, sugar, seafood (lobster and shrimp) and encouraged a Cuban delegation of officials and farmers to visit the U.S. to explore those opportunities. Indeed, some believe that Cuba’s warm winter climate could enable Cuba to export tomatoes and other vegetables all across the eastern U.S. during the cold-weather months, along with its traditional crops. On Monday the U.S. delegation met with Cuba’s Foreign Minister, Bruno Rodriguez; Agriculture Minister, Julian González; Azcuba Business Group; the National Association of Small Farmers; and directors of other companies and agricultural cooperatives. The next day the Americans visited farms and agricultural businesses in four provinces near Havana, including the El Trigal wholesale market, on the outskirts of the capital; the 30 de Noviembre Sugar Mill (Artemisa); the Heroes de Yaguajay Fruit and Vegetable Cooperative (Alquizar), and the tobacco cooperatives of Consolacion del Sur and Los Palacios (Pinar del Rio). Significant U.S.-Cuba trade growth appears likely to come fastest in agriculture, the sector of the Cuban economy that has the deepest ties to the U.S. and that has been undergoing market-oriented reforms longer than any other on the island. After years of declining sales, the U.S. and mostly Republican states sold nearly $300 million of food to the island last year, primarily frozen chicken and soybean products, under a long-standing humanitarian exception to the U.S. embargo. Such U.S. exports, however, have been hampered by U.S. sanctions limiting sales to a cash-only and barring U.S. banks from financing the sales. American trade officials and farmers are dreaming of dominating a food import market that could grow to $3 billion in coming years if Cuba’s economy improves. Afterwards, a Cuban researcher at the Center for Hemispheric Studies, University of Havana, Luis René Fernández, said that open trade with the U.S. is a matter of justice. Care, however, must be taken that the changes are not chaotic or overwhelmed by the U.S. interests. A previous post described the January 8, 2015, launch of the Coalition. This post about their visit to the island is based upon the following sources: Thomas, Ag Coalition to lead trade trip to Cuba in March, Farm Futures (Feb. 20, 2015); Reuters, U.S. Agricultural Delegation Visits Cuba, Protests Embargo, N.Y. Times (Mar. 2, 2015); Cuba Hosts Delegation of 96 US Farm Sector Businesspeople, Havana Times (Mar. 2, 2015); Sosa, US farmers promote lifting the blockade on Cuba, Granma (Mar. 3, 2015); Miroff, Why Midwestern farmers want to break the Cuban embargo, Wash. Post (Mar. 3, 2015); U.S. agribusinessmen visiting Cuba call for end to embargo, FoxNewsLatino (Mar. 3, 2015); US Agriculture Organization Looks for Business Opportunities in Cuba, Escambray (Mar. 3, 2015); Weissenstein, Cuba looks north to US farmers for help with food crisis, Assoc. Press (Mar. 4, 2015); Sosa & Gomez, The fertile field for trade between US and Cuba, Granma (Mar. 5, 2015). Devry Boughner Vorwerk, the Chair of the U.S. 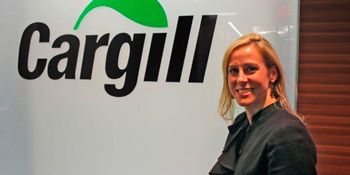 Agricultural Coalition for Cuba and a vice president of corporate affairs for Minnetonka-based Cargill Inc., provided observations about the group’s recent trip to Cuba. Some in the delegation visited a sophisticated, modern aquaculture production facility, which was supported by the Norwegian government. Others were impressed by the management structure of a farm that was growing tobacco, sorghum, rice and dry beans. They also learned about agricultural cooperatives. At a sugar plant they saw Brazilian-supplied brand-new International Harvester equipment while farmers were still using oxen and wooden plows to make rows for planting tobacco. The Coalition sees great potential for U.S. exports of soybeans, wheat, corn, rice, dried beans and meat products. Cuba, on the other hand, has potential for exports of cigars and other tobacco produces, aquaculture products, organic fruits and vegetables. Vorwerk also reiterated the Coalition’s objective of ending the U.S. embargo of Cuba. Meersman, Cargill’s Vorwerk makes case for ending embargo, StarTribune (Mar. 21, 2015), http://www.startribune.com/business/297064811.html. This month a bill was introduced in the Minnesota House of Representatives to provide $100,000 of state funds over two years to help small farmers export their products to Cuba. The first $50,000 would help fund a Minnesota trade mission to the island while the second $50,000 would help publicize the results of such a mission to farmers in the state. The House Agriculture Committee has recommended its inclusion in the larger “ag” bill this session. Condon, Bill aims to help famers tap into Cuban market, StarTribune (Mar. 3, 2015), http://www.startribune.com/politics/statelocal/294880941.html.